With over 200 black and white illustrations. 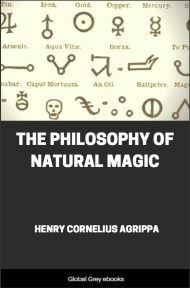 If you read this book in its entirety you will be in a good position to dive into subjects such as the Qabbala, Alchemy, Tarot, Ceremonial Magic, Neo-Platonic Philosophy, Mystery Religions, and the theory of Rosicrucianism and Freemasonry. Each of the nearly 50 chapters is so dense with information that it is the equivalent of an entire short book. 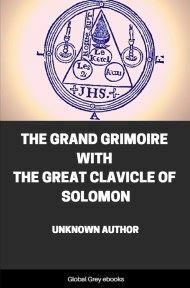 Although there are some questionable and controversial parts of the book, such as the outdated material on Islam, the portion on the Bacon-Shakespeare hypothesis, and Hall’s conspiracy theory of history as driven by an elite cabal of roving immortals, they are far out-weighed by the comprehensive information here on other subjects. WHEN confronted with a problem involving the use of the reasoning faculties, individuals of strong intellect keep their poise, and seek to reach a solution by obtaining facts bearing upon the question. Those of immature mentality, on the other hand, when similarly confronted, are overwhelmed. While the former may be qualified to solve the riddle of their own destiny, the latter must be led like a flock of sheep and taught in simple language. They depend almost entirely upon the ministrations of the shepherd. The Apostle Paul said that these little ones must be fed with milk, but that meat is the food of strong men. Thoughtlessness is almost synonymous with childishness, while thoughtfulness is symbolic of maturity. 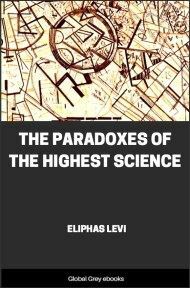 There are, however, but few mature minds in the world; and thus it was that the philosophic-religious doctrines of the pagans were divided to meet the needs of these two fundamental groups of human intellect--one philosophic, the other incapable of appreciating the deeper mysteries of life. To the discerning few were revealed the esoteric, or spiritual, teachings, while the unqualified many received only the literal, or exoteric, interpretations. In order to make simple the great truths of Nature and the abstract principles of natural law, the vital forces of the universe were personified, becoming the gods and goddesses of the ancient mythologies. While the ignorant multitudes brought their offerings to the altars of Priapus and Pan (deities representing the procreative energies), the wise recognized in these marble statues only symbolic concretions of great abstract truths. In all cities of the ancient world were temples for public worship and offering. In every community also were philosophers and mystics, deeply versed in Nature's lore. 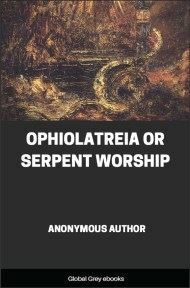 These individuals were usually banded together, forming seclusive philosophic and religious schools. The more important of these groups were known as the Mysteries. Many of the great minds of antiquity were initiated into these secret fraternities by strange and mysterious rites, some of which were extremely cruel. Alexander Wilder defines the Mysteries as "Sacred dramas performed at stated periods. The most celebrated were those of Isis, Sabazius, Cybele, and Eleusis." 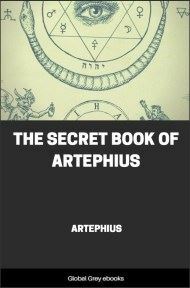 After being admitted, the initiates were instructed in the secret wisdom which had been preserved for ages. Plato, an initiate of one of these sacred orders, was severely criticized because in his writings he revealed to the public many of the secret philosophic principles of the Mysteries. Every pagan nation had (and has) not only its state religion, but another into which the philosophic elect alone have gained entrance. Many of these ancient cults vanished from the earth without revealing their secrets, but a few have survived the test of ages and their mysterious symbols are still preserved. Much of the ritualism of Freemasonry is based on the trials to which candidates were subjected by the ancient hierophants before the keys of wisdom were entrusted to them. Few realize the extent to which the ancient secret schools influenced contemporary intellects and, through those minds, posterity. Robert Macoy, 33°, in his General History of Freemasonry, pays a magnificent tribute to the part played by the ancient Mysteries in the rearing of the edifice of human culture. He says, in part: "It appears that all the perfection of civilization, and all the advancement made in philosophy, science, and art among the ancients are due to those institutions which, under the veil of mystery, sought to illustrate the sublimest truths of religion, morality, and virtue, and impress them on the hearts of their disciples. * * * Their chief object was to teach the doctrine of one God, the resurrection of man to eternal life, the dignity of the human soul, and to lead the people to see the shadow of the deity, in the beauty, magnificence, and splendor of the universe." Thomas Taylor has written, "Man is naturally a religious animal." From the earliest dawning of his consciousness, man has worshiped and revered things as symbolic of the invisible, omnipresent, indescribable Thing, concerning which he could discover practically nothing. The pagan Mysteries opposed the Christians during the early centuries of their church, declaring that the new faith (Christianity) did not demand virtue and integrity as requisites for salvation. Celsus expressed himself on the subject in the following caustic terms: "That I do not, however, accuse the Christians more bitterly than truth compels, may be conjectured from hence, that the cryers who call men to other mysteries proclaim as follows: 'Let him approach whose hands are pure, and whose words are wise.' And again, others proclaim: 'Let him approach who is pure from all wickedness, whose soul is not conscious of any evil, and who leads a just and upright life.' And these things are proclaimed by those who promise a purification from error. Let us now hear who those are that are called to the Christian mysteries: Whoever is a sinner, whoever is unwise, whoever is a fool, and whoever, in short, is miserable, him the kingdom of God will receive. Do you not, therefore, call a sinner, an unjust man, a thief, a housebreaker, a wizard, one who is sacrilegious, and a robber of sepulchres? What other persons would the cryer nominate, who should call robbers together?" It was not the true faith of the early Christian mystics that Celsus attacked, but the false forms that were creeping in even during his day. The ideals of early Christianity were based upon the high moral standards of the pagan Mysteries, and the first Christians who met under the city of Rome used as their places of worship the subterranean temples of Mithras, from whose cult has been borrowed much of the sacerdotalism of the modem church.